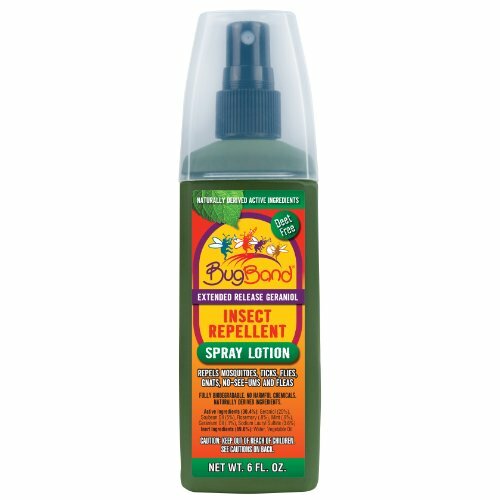 The bugband insect repellent towelette is a very handy, easy-to-use method of applying geraniol DEET-free insect repellent. Contains 8-by-8-inch pretreated insect repellent towelettes. The 40-count Jumbo tub is great for sharing with families & large groups of people. This pump spray bottle is perfect for when you need more heavy duty protection, BugBand spray lotion does not contain any propellants, but relies on a highly effective metered pump sprayer to dispense a fine mist over the area to be treated. By spraying the BugBand liquid directly on clothing or skin, the Geraniol vapors form a protective barrier to deter blood-sucking insects from biting. It is ideal for uses around the ankles, wrist or neck, where insects tend to invade clothing. Use once for hours of insect protection. 9 ounces size. For maximum protection, use multiple bracelets. One size fits all. Adult supervision is required when using with kids, external use only. Bug Band Wristband Family 4 Pack is an insect repellent that is safe for the entire family and is Deet-Free. The vapors from the plastic Bug Band wristband form a protective shield around the immediate area, keeping insects a safe distance away. While many repellents are easily diluted or rinsed off with swimming or perspiration, the wristband just keeps working, up to 120 hours per arm band. Repels mosquitoes, gnats, fleas, and n-see-ums. Contains Geraniol which has been tested to be more effective than Citronella. There is a breakaway feature for added safety. 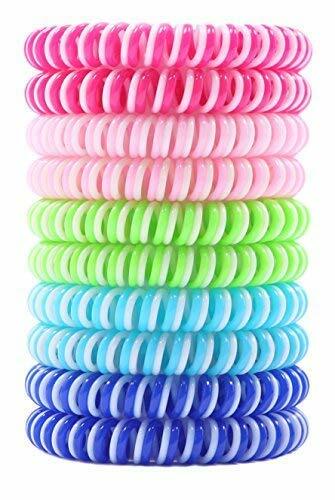 The bands are packaged in an innovative reusable plastic "pod" which can be used to store the wristband and can be sealed between uses to preserve the active life of the product. It can be worn on wrist, ankles, belt loops, hatbands, pet collars, fastened in tents, attached to baby carriages or applied to other areas where insects could be a problem. Several wristbands can be strung together to create a longer band. A good choice for recreational and lighter-duty applications, the Bug Band Family 4-Pack contains 3 assorted color wristbands and 1 glow-in-the-dark wristband. 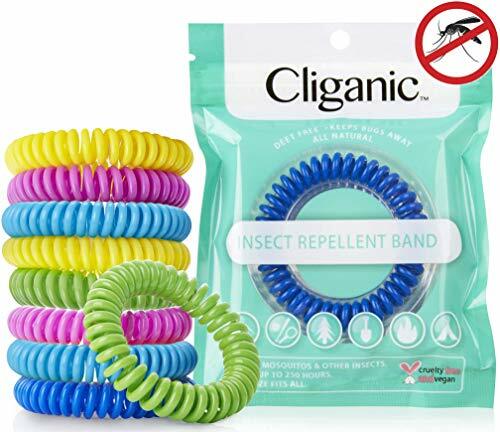 Cliganic Natural Mosquito Repellent Bracelets, 10 Individual Packs A natural solution to keep insects away. DEET Free and Kid Safe! 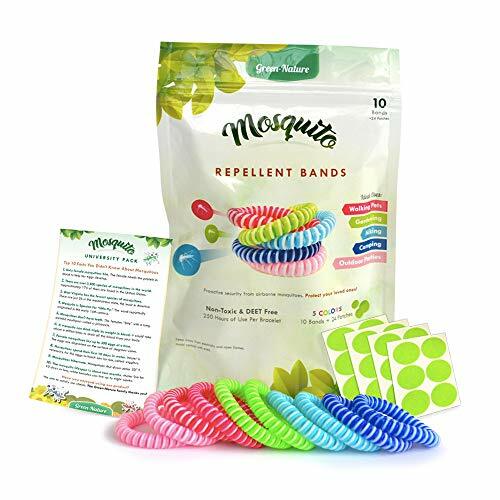 Creates an invisible shield to keep insects away with our all-natural Mosquito band. 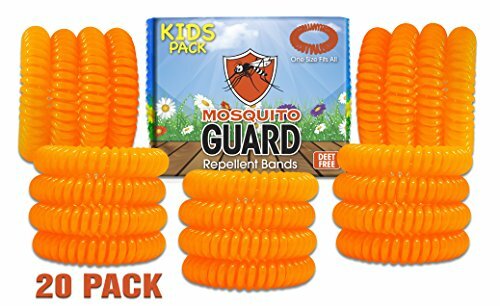 Made of special blend of safe, non-toxic natural oils, each band provides up to 250 hours of insect protection so that you can enjoy the outdoors without worrying about pesky bites Ideal for mosquitoes, bugs and other insects. Benefits of natural bug repellent bracelet: - DEET FREE - All Natural - Lasts up to 250 hours - One size fits all - Kids Safe! 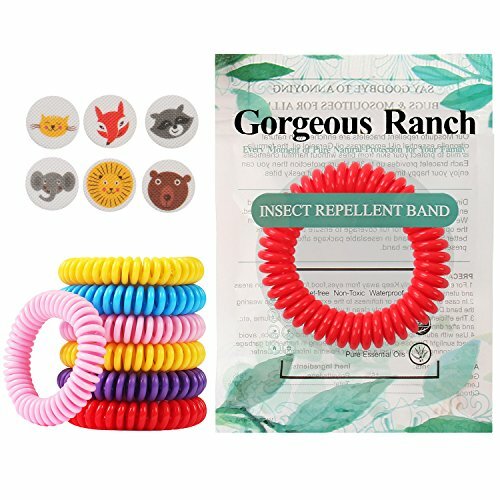 - Suitable for indoor & outdoor - Cruelty free and vegan - Cliganic natural insect repellent bracelet is Certified by PETA | mosquito repellent bracelet for kids and adults | TRY IT RISK FREE - If for any reason, you are not satisfied with your purchase, we will be happy to replace it or issue you a full refund. 2 BUG BAND Insect Repellent Band. DEET FREE. Glows in the Dark. NEW. Want more Bug Band Insect Repellent similar ideas? Try to explore these searches: Automatic Light Sensor, Camo Medium Mens Pants, and Volkswagen Valance.